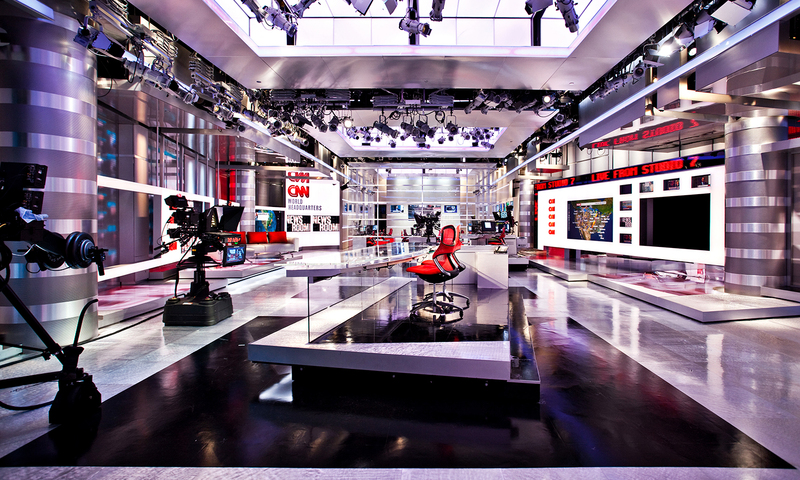 CNN — the first all-news television network in the United States — recognized that advancements in communications technology demanded an updated studio, capable of supporting a full high-definition broadcast lineup. 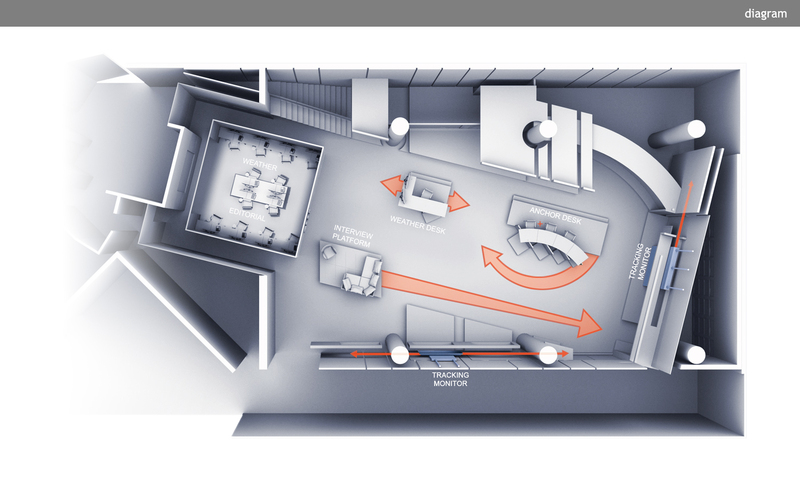 Clickspring’s solution was an alignment of three layers of visual information, each offering a higher degree of resolution. 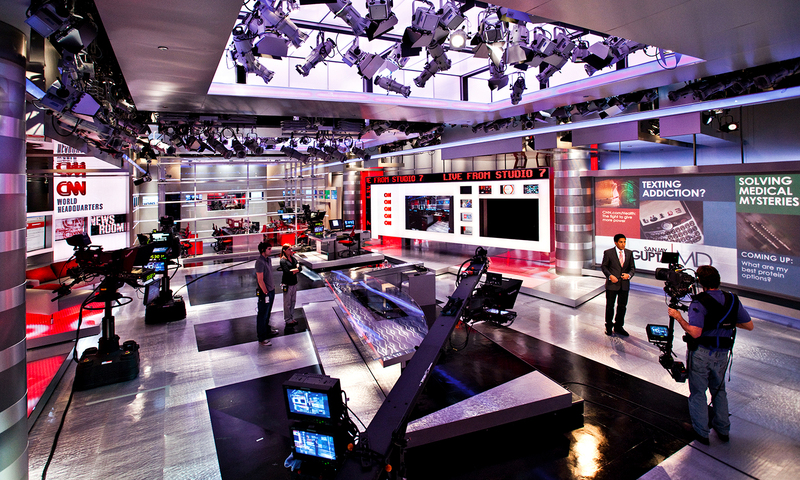 More than 50 HD monitors and an enveloping 21-foot long projection display work in tandem with LED elements to support the simultaneous verbal and print delivery of news, literally immersing both the narrator and the viewer within the news content. 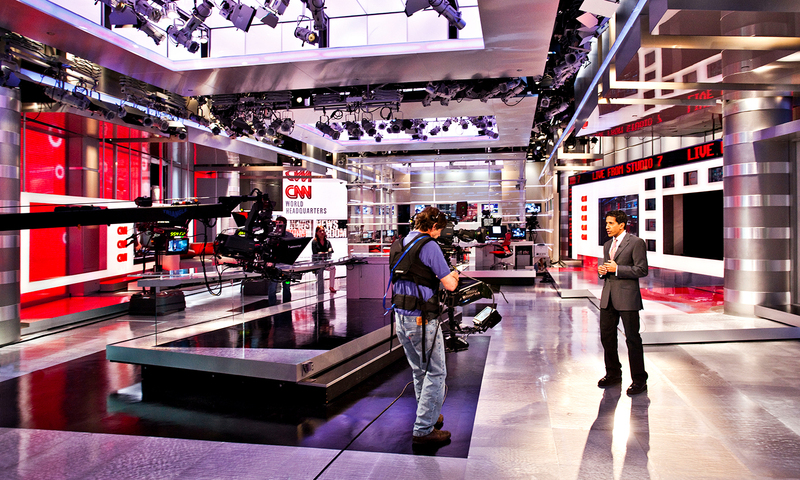 This multi-platform delivery adds depth to every story. 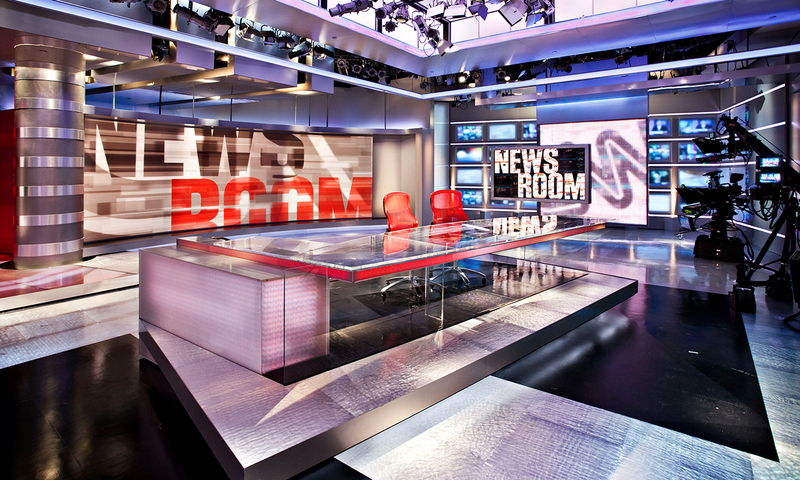 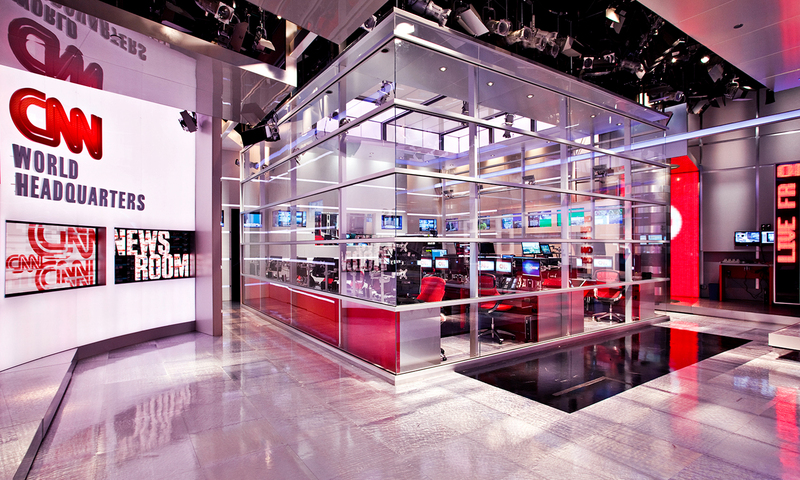 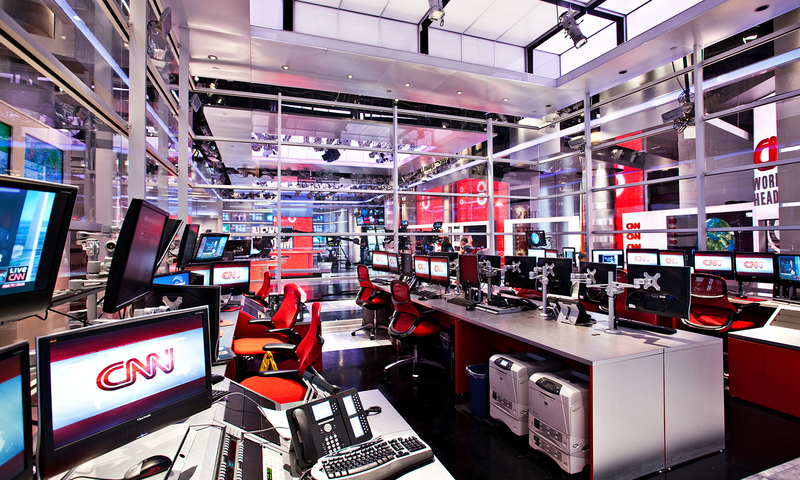 The extensive capabilities and journalistic depth of CNN headquarters is further supported by the inclusion of an on-the-air editorial area within the studio.